Vietnam’s Prime Minister said there is an urgent need to upgrade the education quality in the country, focused on renewed and better curriculum and teaching methodologies to meet with international standards. Prime Minister Nguyen Tan Dung was speaking at the opening ceremony of the new academic year of the 115-year-old Quoc Hoc Hue high school for gifted students in Hue City in the central province of Thua Thien-Hue on September 2. Quoc Hoc Hue high school was established in 1896 and has a proud heritage as President Ho Chi Minh and many senior Vietnamese Party officials and scientists have studied and taught there. The PM stressed that the Party and the State were concerned with the development of education in the country, considering it to be a top priority in the country’s development strategy and a decisive element for poverty reduction, industrialization and sustainable development. The country’s education sector is expected to overcome all obstacles in order to achieve success and much depended on the contributions made by teachers, parents and the entire society, said PM Dung. The 2011-2012 academic year is very significant because this is the first year that the education sector will implement the 11th Party Congress Resolution and the education development strategy for the 2011-2020 period. The strategy aims for the rapid development of human resources and fundamental and comprehensive modernization of the national education system. More cooperation between families and schools was needed to manage students well. Schools should organize healthy and interesting activities to draw participation from students, the PM added. At the end of the opening ceremony, PM Dung planted a sapling at the school premises. On the same day, the Prime Minister had a meeting with Thua Thien-Hue province leaders who petitioned for funds for four projects under construction, namely Ta Trach Lake, Bach Ho Bridge, Thuy Yen – Thuy Cam Bridge and La Son-Nam Dong road. Province leaders also asked for more investment in the important Phu Bai International Airport construction work, which is vital for the development of the province. 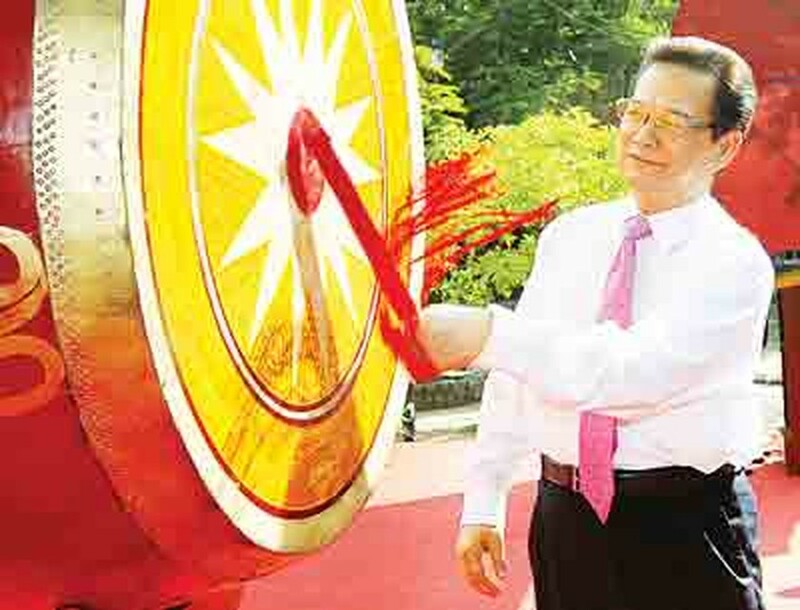 PM Dung said the government and relevant agencies will create favorable conditions for the development of the province.